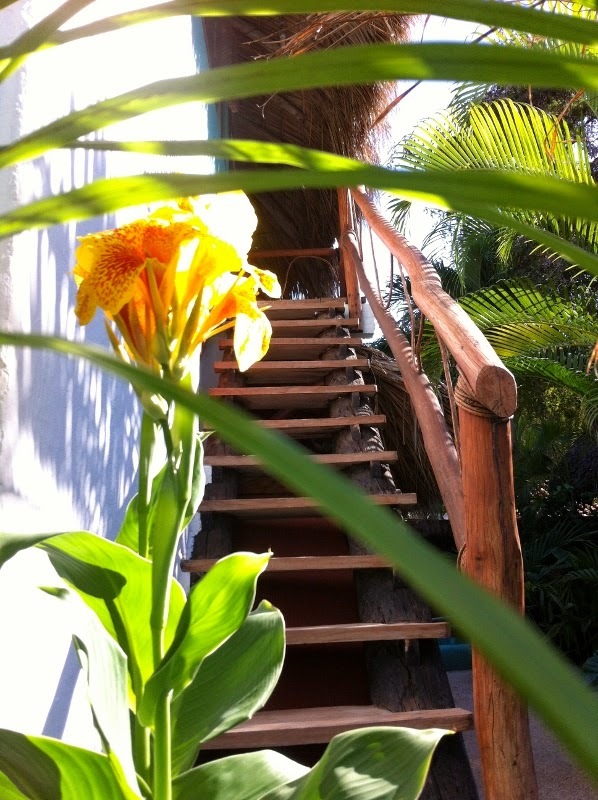 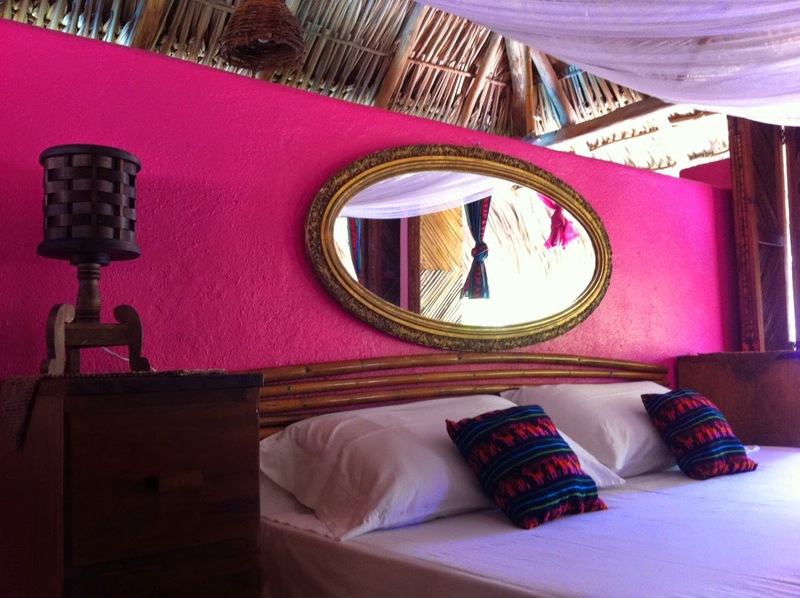 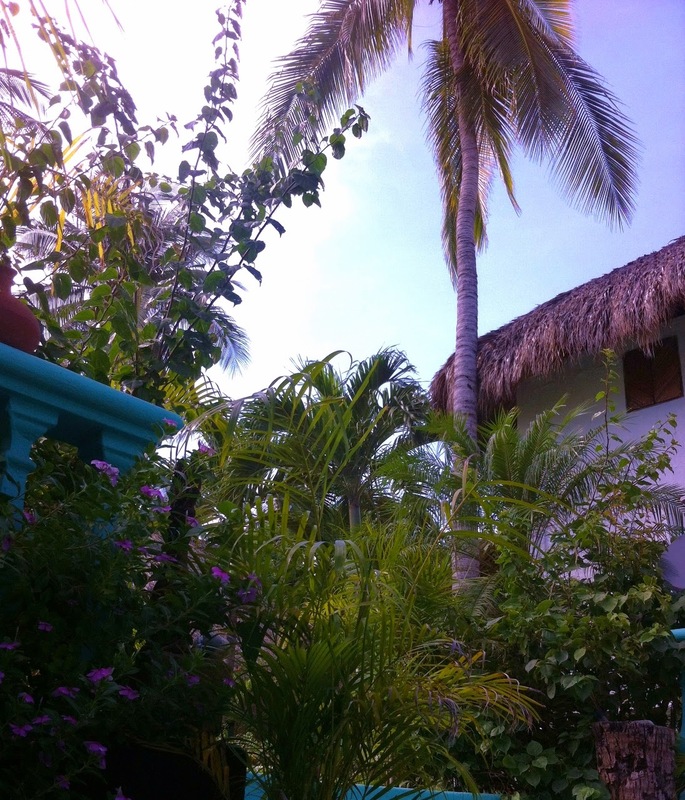 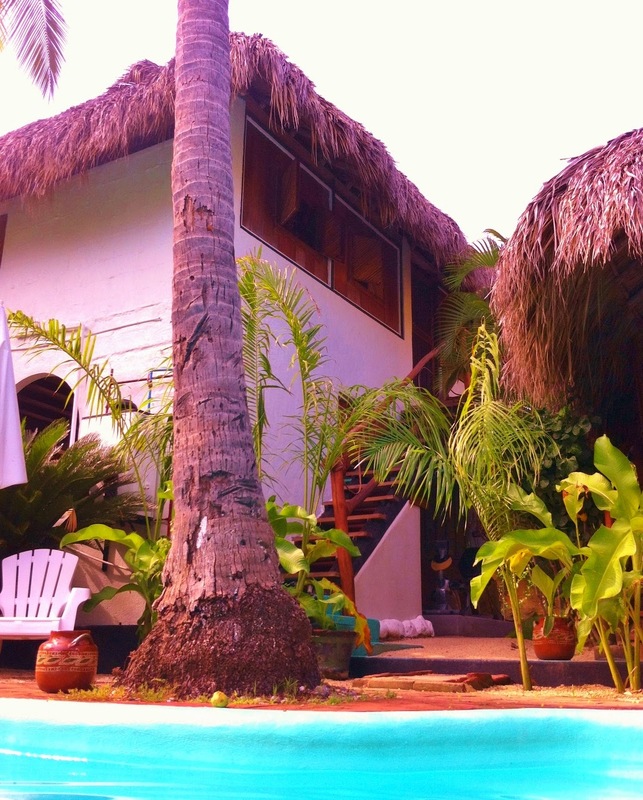 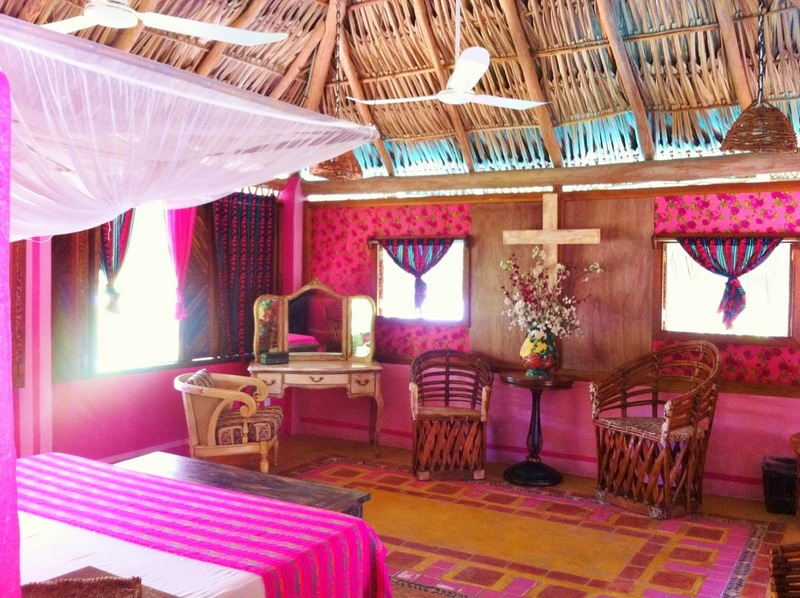 B&B in Barra de Potosi by the beach and lagoon with rental bungalows which blend rustic mexican accents with comfort and colorful Mexico-inspired antique flair! 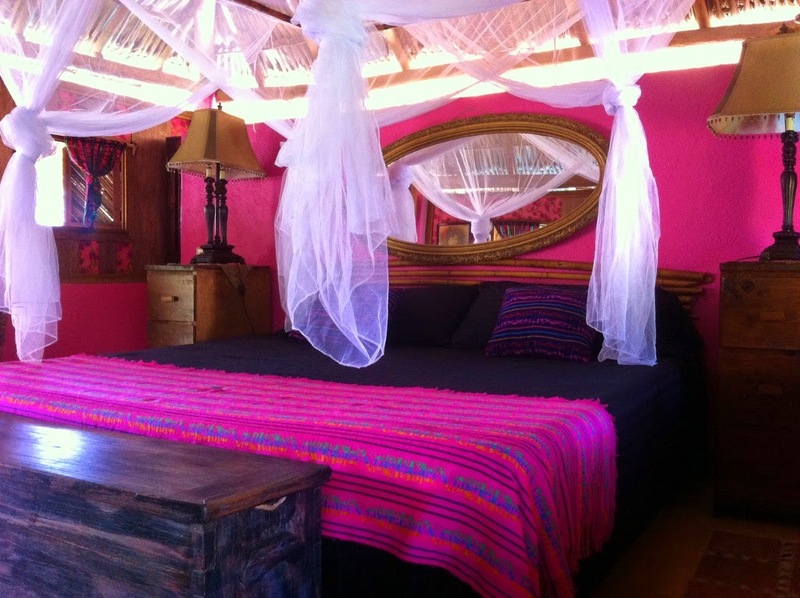 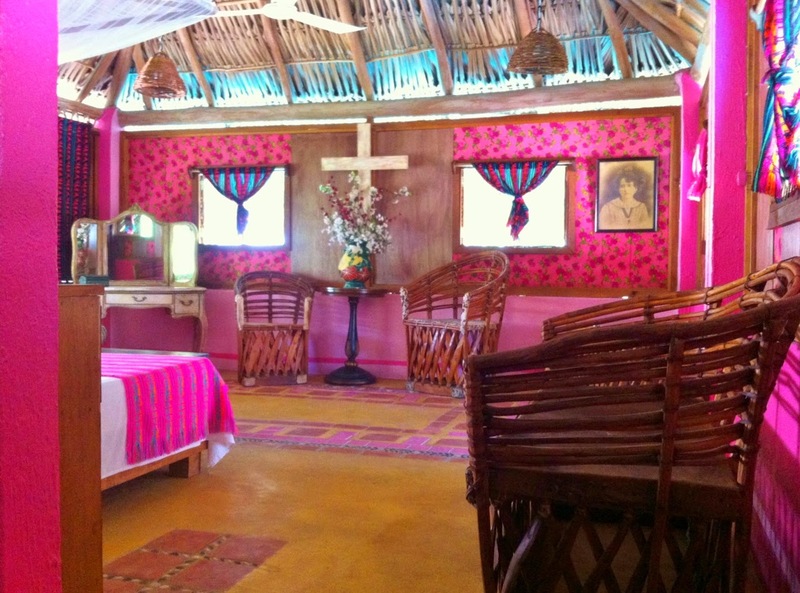 Betsey Johnson's favorite bungalow at Hacienda La Rusa got a full face lift. 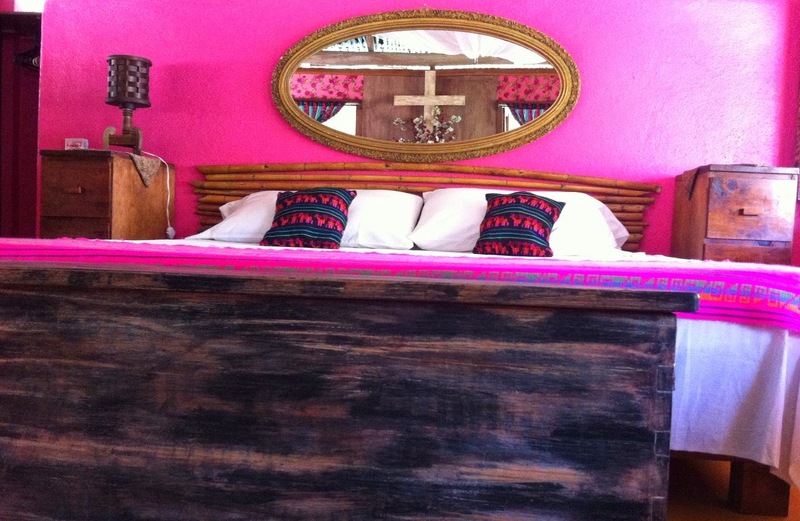 Fresh paint, restored antique furniture, mexican pillows and curtains, new wood work. 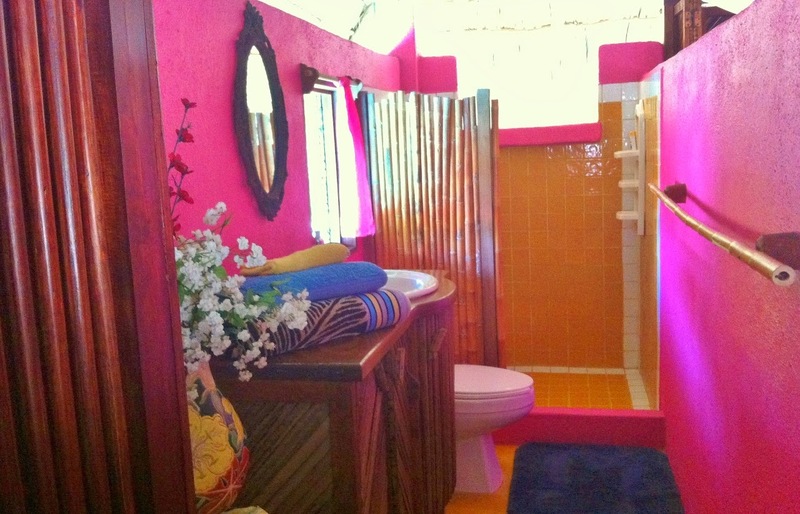 This small vacation bungalow is full of light and air and ready for new guests! 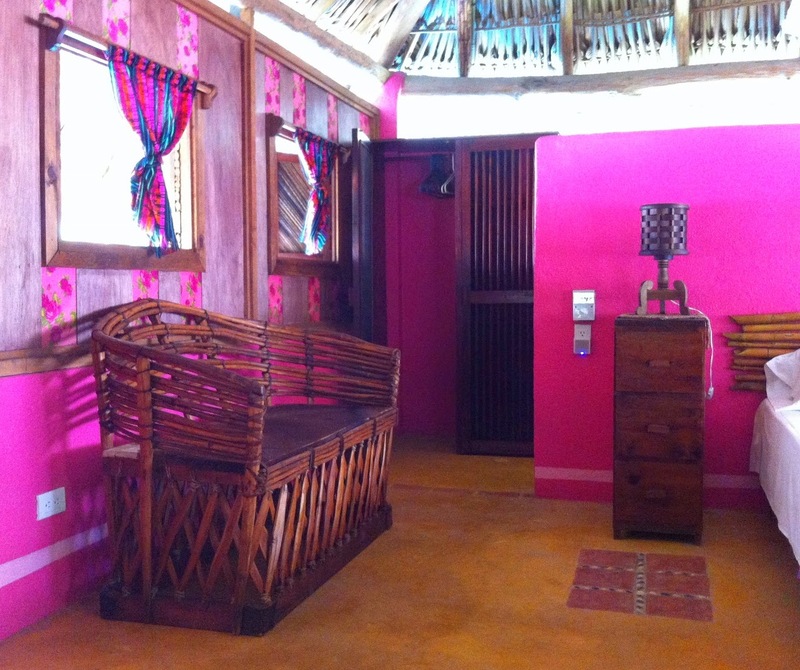 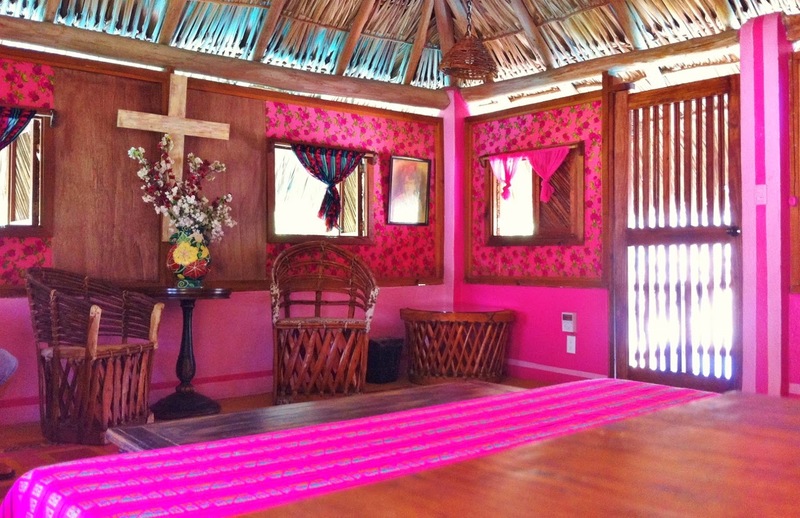 Our guests say pink looks way more calmer in real life, somehow photos show pink brighter than it is.